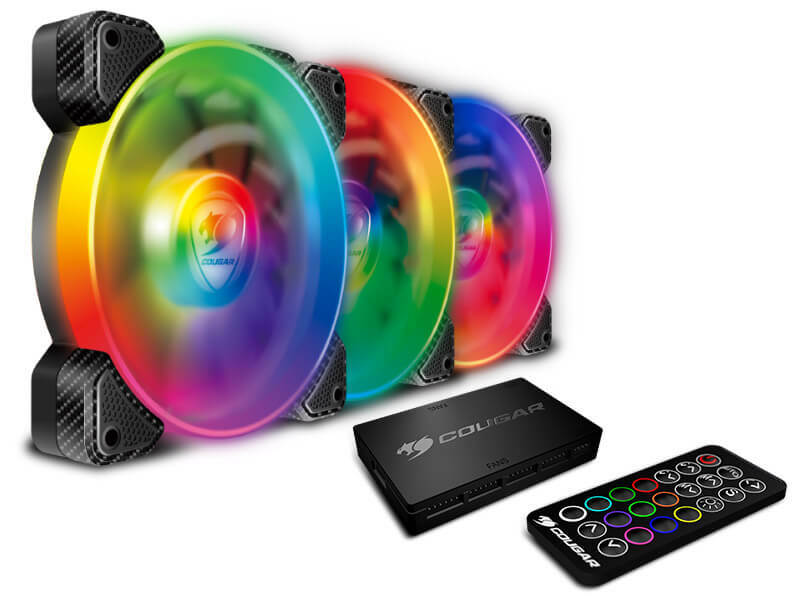 360º of gorgeous lighting effects come to your case with COUGAR’s most potent RGB fan lighting ever. 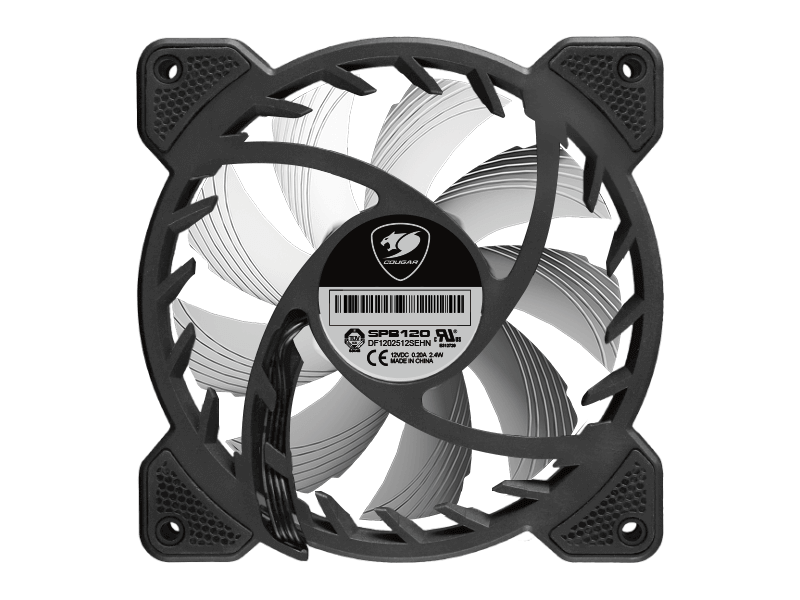 The dual lighting circle of the fans combines with the semi-translucid fan blades to ensure that you can visualize the lighting effects from any angle. 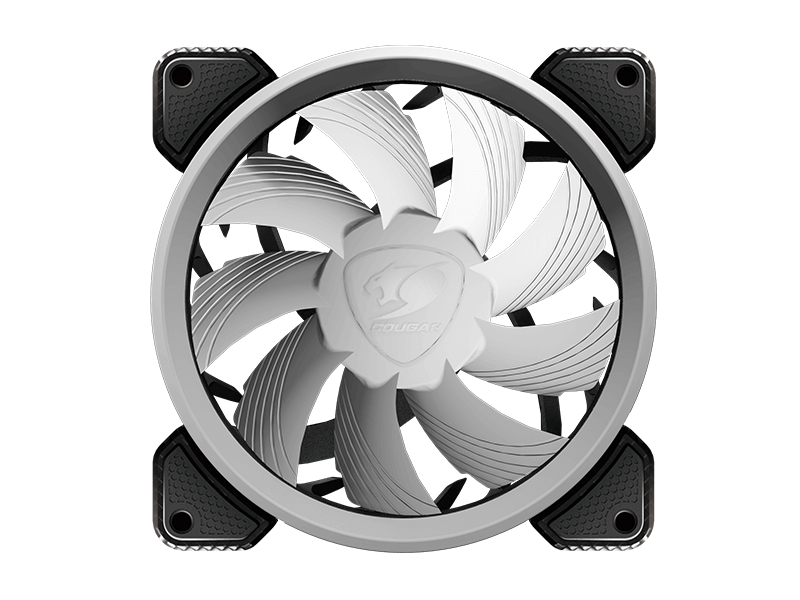 Our patented frame design shapes the airflow into a vortex that works wonders when it comes to keeping your computer’s critical components cool. 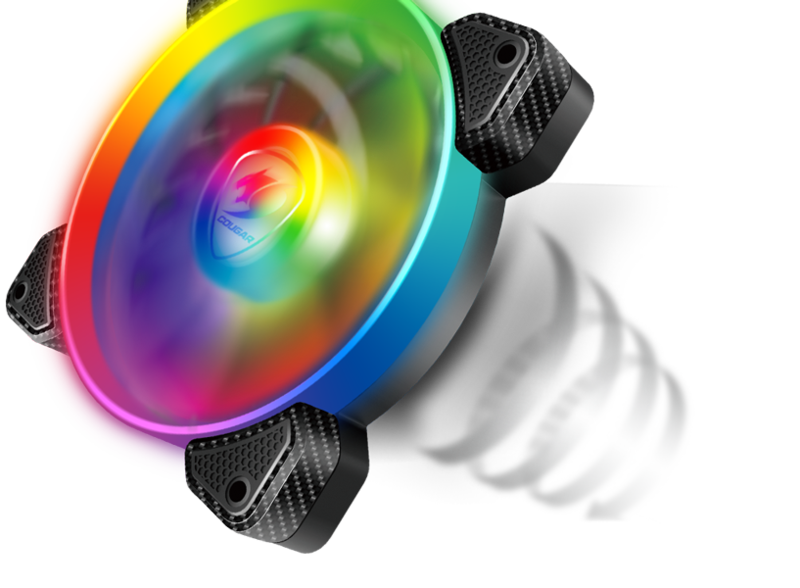 Customize your build’s appearance and change it at will with more than Preset 100 impressive lighting effects. 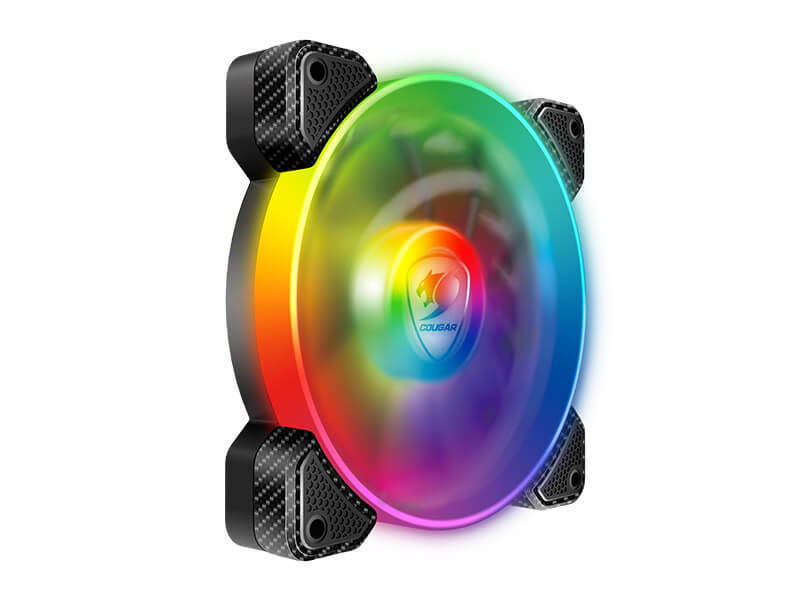 Choose colors, lighting patterns, brightness and speed with the included wireless controller and make full use of each fan’s 24 addressable LEDs! 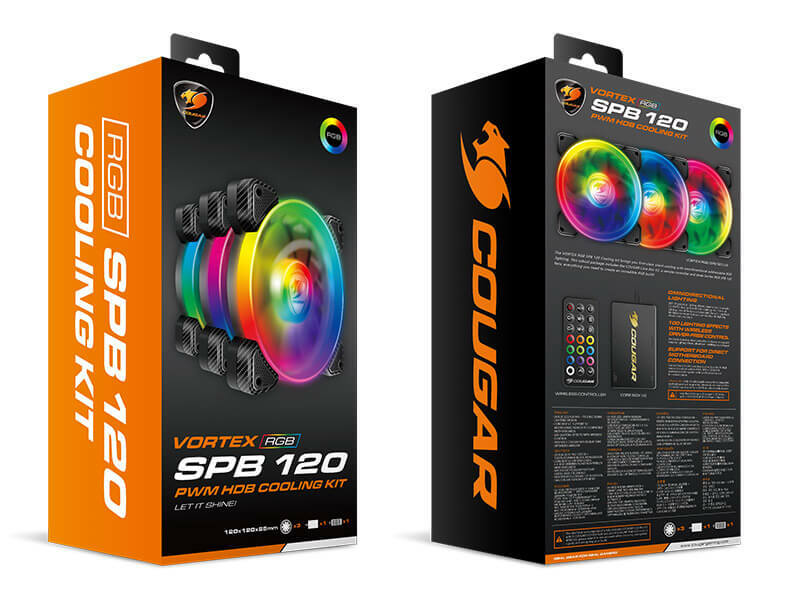 The 3 included VORTEX RGB SPB 120 cooling fans can by themselves create a truly magical atmosphere, but some users want even more. Fear not! 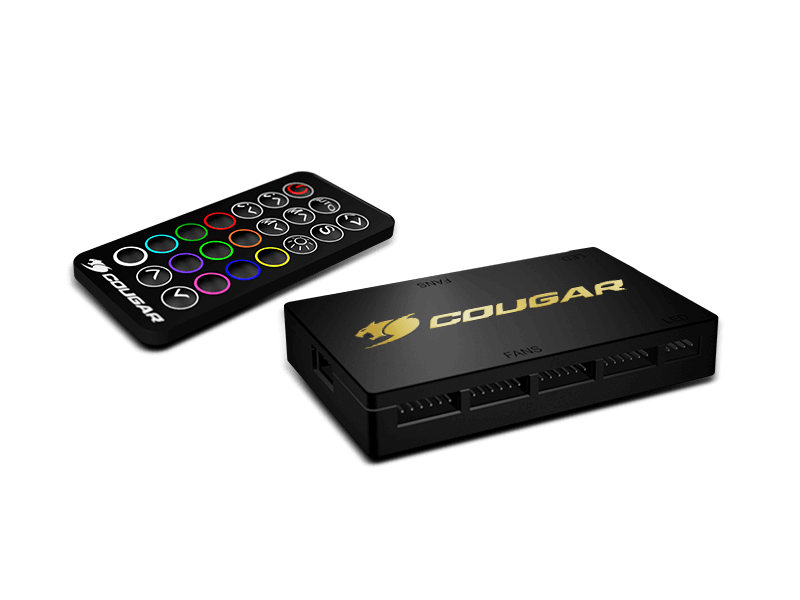 The COUGAR Core Box v2 supports up to 8 RGB fans, and 4 RGB LED strips, enough to make your PC overflow with light. 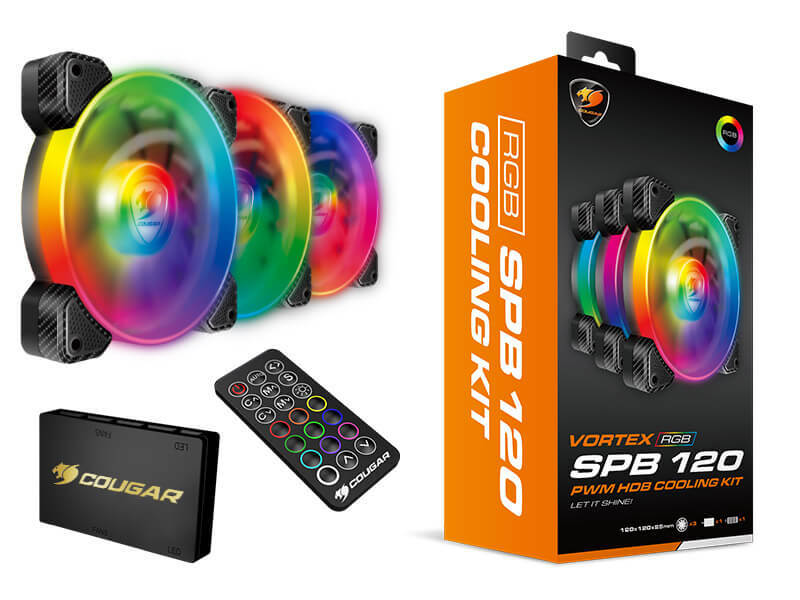 VORTEX RGB SPB 120 Cooling Kit supports connection to compatible motherboards to achieve system-wide RGB lighting synchronization. For more information regarding compatibility, please visit this page. 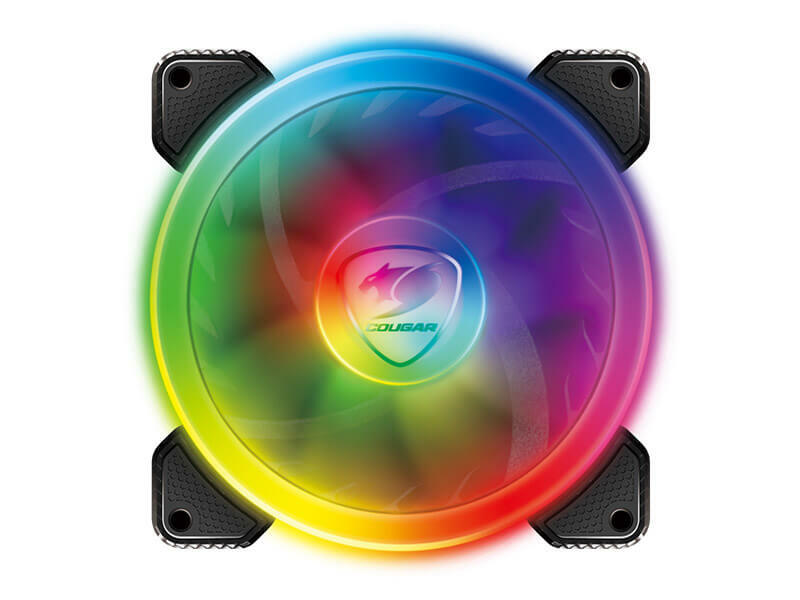 Pulse-width Modulation is a technology that allows the mainboard, through the 4-pin connector, to adjust the fan speed in a range that goes from 600 to 1500 R.P.M., reaching the optimal balance between cooling and audible output while keeping a constant 12V operating voltage. 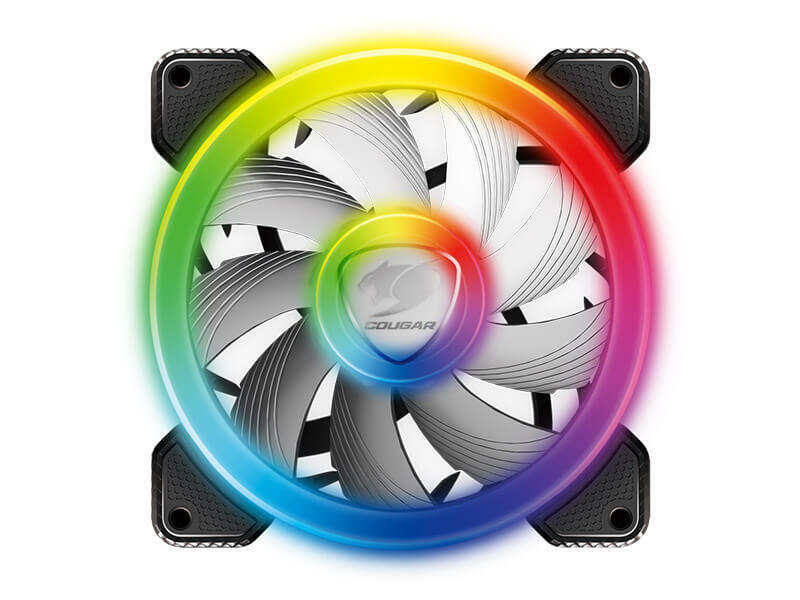 The cooling you need without the extra noise! 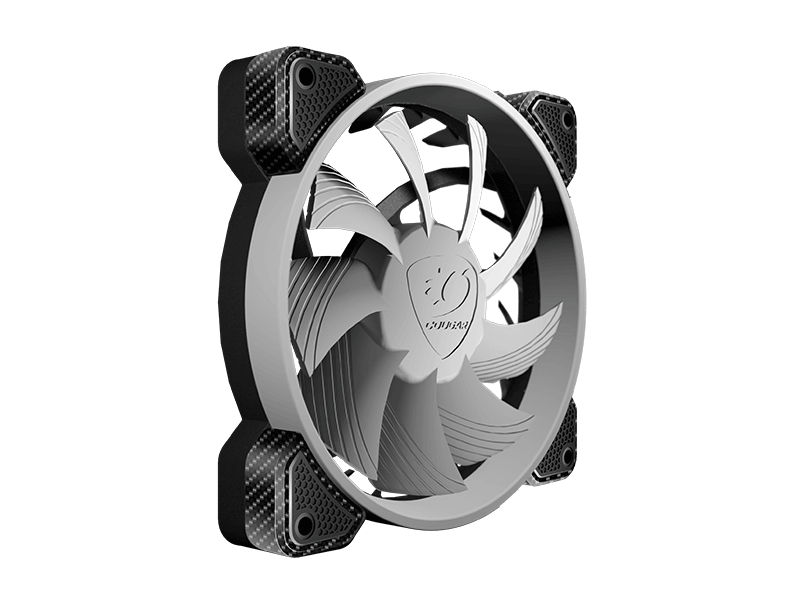 The hydro-dynamic bearing technology brings a triple benefit: it increases the fan’s useful life, allows it to operate with less noise and minimizes heat generation.